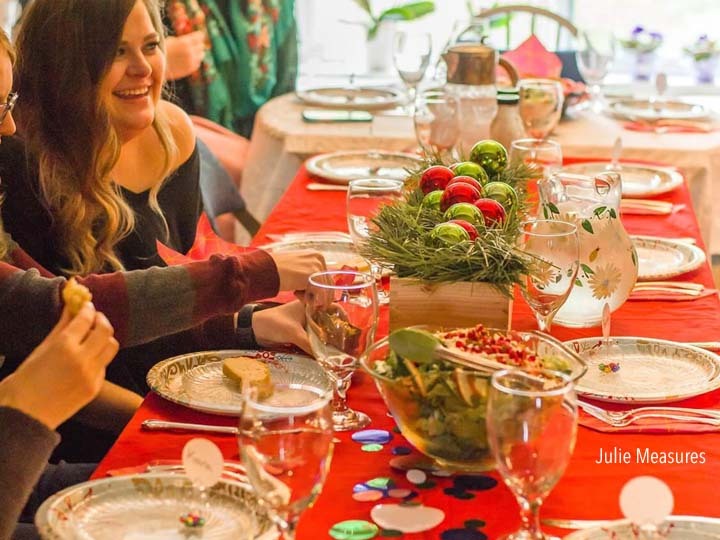 This holiday season gather some girl friends for a crafternoon! 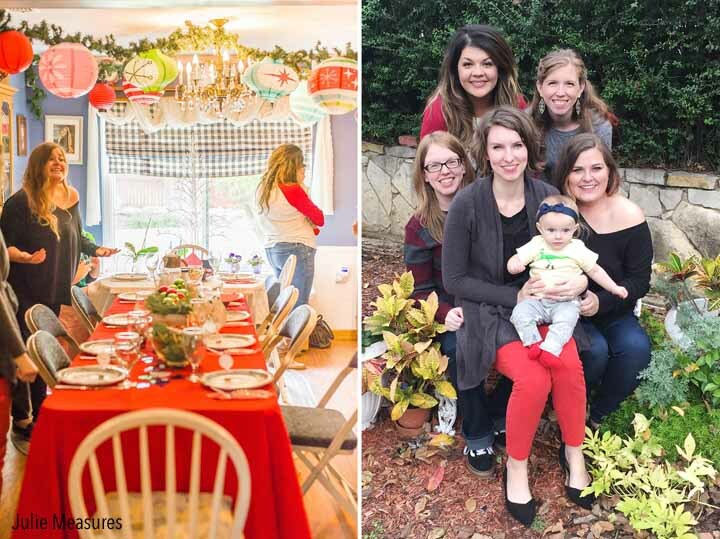 I partnered with DinDin Party to show you how to host an Ornament Party! Ornament exchanges are some of my favorite parties to attend. But this year I thought it would be fun to change things up a bit and host a crafty ornament party. Complete with ornament decor, an ornament themed lunch, and an easy ornament craft for all the guests. An ornament party starts with ornament decor. 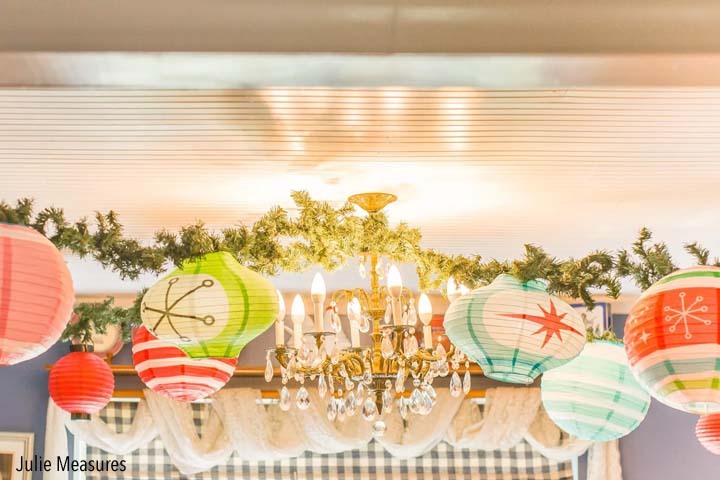 To create giant ornaments I used paper lanterns hanging from holiday garland draped on the ceiling as the focal point above the table. 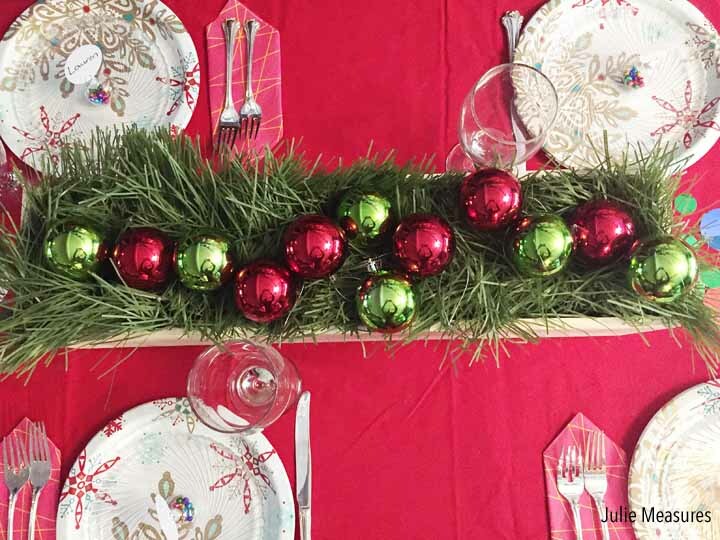 The table centerpiece was a long wooden box filled with more greenery and red and green ornaments nestled on top. I even found ornament place card holders! These glass ornaments have a flat bottom. I filled them with jingle bells and used round, ornament shaped, name cards for all my guests. 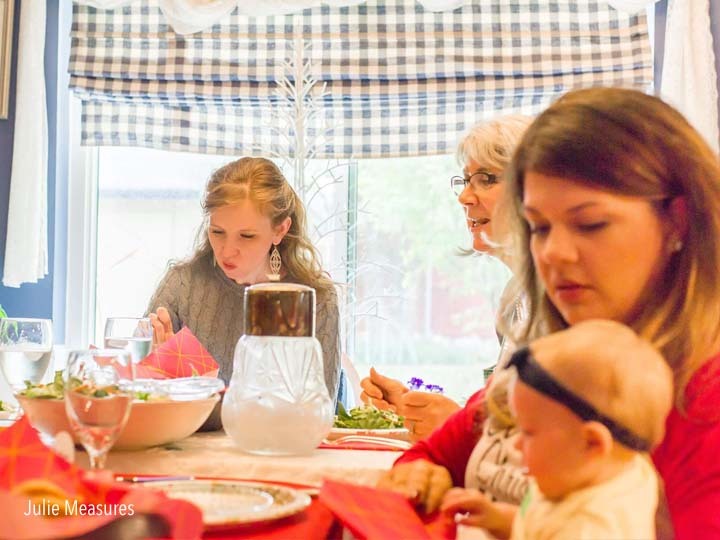 A DinDin Party is about combining delicious food, a fun theme, and a great time. Knowing how much I love ornaments the ornament theme idea came first. Once I had the decor set then I turned my attention to planning my party menu. 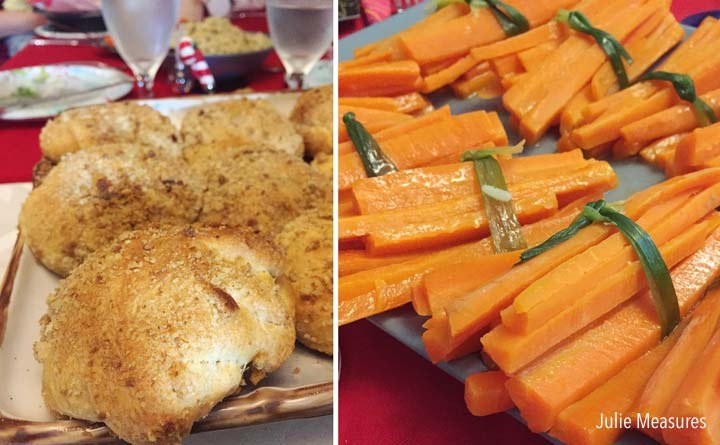 For my Crafty Ornament Party I served an appetizer, salad course, main dish, side dishes, and an array of desserts. Our appetizer were spiced nuts. A seasonal favorite and perfect for munching on while waiting for all the guests to arrive. Once all my guests had arrived we sat down to fresh homemade bread with pumpkin butter, and this beautiful holiday ornamental salad. 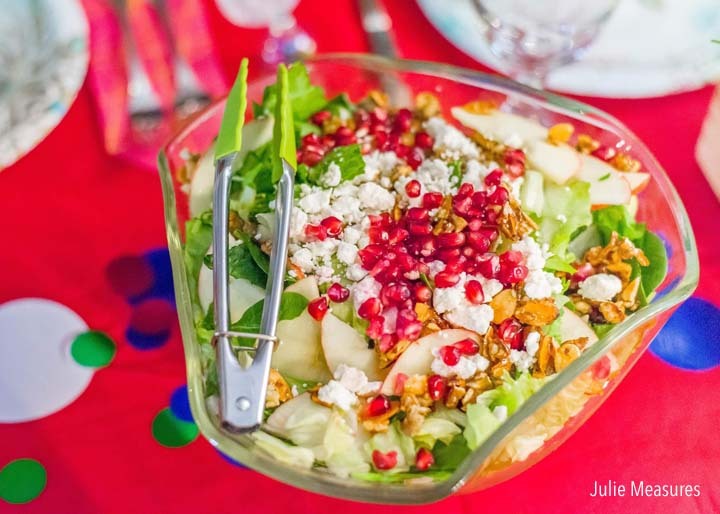 The salad has thinly sliced apples, pomegranate seeds, candied almonds, crumbled cheese, and we ate it with an apple cider vinaigrette dressing. Our main dish was chicken bundles served with rice pilaf and carrot bundles. The chicken bundles are bread filled with a shredded chicken and cream cheese filling. The carrot bundles are sliced carrots tied with a green onion. Both have a present like holiday feel! Once we finished eating we took a short break before dessert which is where we made our ornaments. 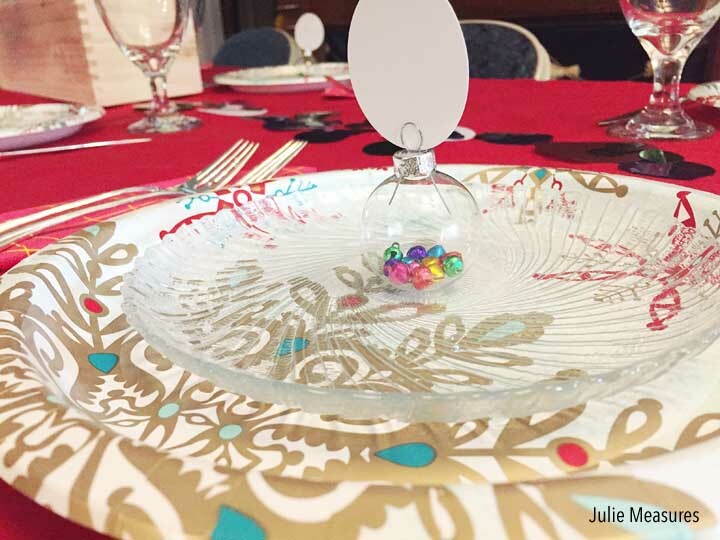 I supplied my guests with round plastic ornaments that they could fill with anything from buttons to metallic shred. Then I had paint markers and stickers they could use to decorate or monogram the outside of the ornament. As another option I let my guests choose from one of the red or green centerpiece ornaments and use the paint pens to decorate those. A quick and fun ornament craft that we could enjoy while making room for dessert! 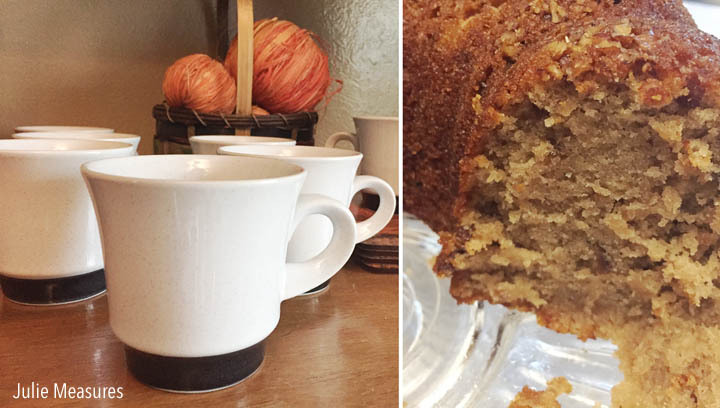 For dessert I served two types of cake pumpkin spice cake and Southern Pecan Bundt Cake. For toppings guests could choose from pumpkin cream cheese, caramel, or whipped cream. And I had a hot chocolate bar for guests to enjoy with their cake. A party isn’t complete without gift bags! DinDin Party provided my guests gift bags filled with beautiful hand-stamped necklaces from a local maker each featuring a different holiday inspirational word like dream, wish, believe, and shine, as well as gorgeous holiday ornament cookies made by a local bakery. Ready to host, or attend, a DinDin Party? Hosts have creative control on the DinDin Party they want to create, while I did an Ornament Party you could have whatever theme you want! The host sets the date, time, location and price per guest. Hosts and guests can interact beforehand through DinDin’s private messaging system and the Host has the option to approve all guests. If you like to cook and entertain it’s a fun way to do those things, meet new people, and get paid for it! For those who want to attend a DinDin Party simply search events near you or by date, cuisine or type of entertainment. Right now DinDin Party is just available in the Dallas/Fort Worth area. 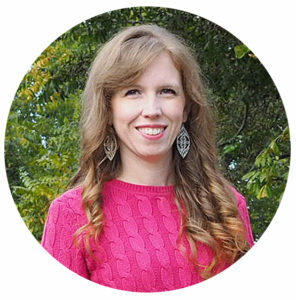 But check to see where they are expanding next! And if you have more questions about how to host or attend a DinDin Party check out their FAQ Sheet HERE. With new ornaments in hand, now it’s time to trim the tree! 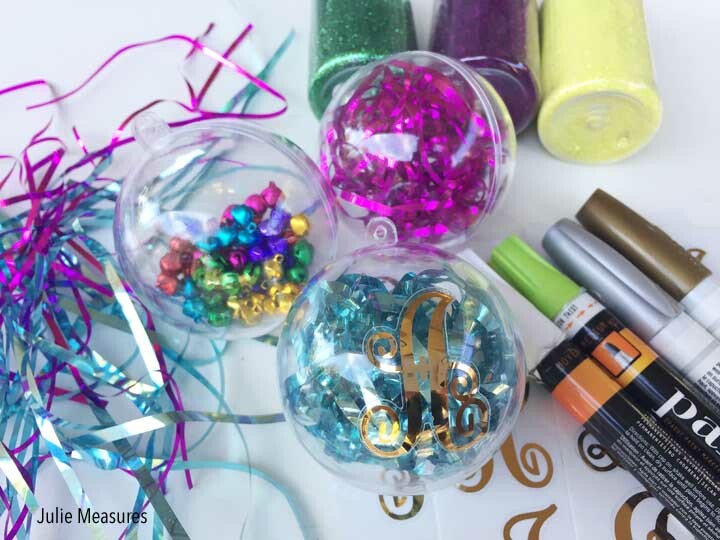 Thanks to Oriental Trading for providing all of the decorations for my Crafty Ornament Party!